LNS | Luxuriously Natural Soaps bath and body products, candles and gifts. 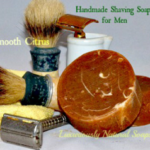 We are your source for all natural soaps, scrubs, candles and other personal products. While we started out, making products for friends and family, demand for our wonderfully scented soaps and lotions grew so fast that we opened this online store. Our soaps are made using the traditional cold process method, and the hot process method, using only the finest raw materials. We also make solid bar and liquid soaps. It is our goal to utilize premium ingredients for a high quality, skin pampering, aromatic experience to be cherished forever. Our products make unforgettable and personalized gifts for adults and children, alike. Handmade soaps have many benefits for body and mind. Scented oils and botanicals can be added to soap for softening and soothing skin, along with aromatherapy benefits derived from essential oils. Since the beginning of time, we have been beautifying ourselves with the plant kingdom’s best skin and hair care ingredients. We’ve incorporated some of those, today, in our natural products, for your enjoyment. Enjoy the fresh fragrance of your choice while you relax.